Microsoft.Com - Most PCs use Microsoft software and the company regularly release patches for their products. You can have your PC check for updates to your operating system (look for "Windows Update" on your Start menu). And you can also visit the company's web site to obtain updates for any other Microsoft software you currently run. Adobe - If you read a lot of PDF documents on the web you'll need to have the Acrobat Reader plug-in installed in your browser. And from time to time - if you update Internet Explorer a lot - you may need to reinstall it too. You can obtain the Acrobat Reader plug-in free from Adobe. ZDNet Downloads - Ziff-Davis Internet (ZDNet) provide a huge range of free software downloads to the general public. They're also one of the most popular online resources for common drivers we know about. WinDrivers.Com - WinDrivers specialise in drivers for Windows users (ie most of us). 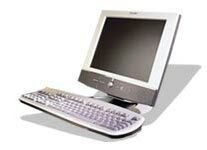 They're another excellent resource for printer, CD-ROM, modem, scanner, sound and mouse drivers. If you can't find what you're looking for on ZDNet, chances are you'll find it here! Netscape - If you have repeated problems with Internet Explorer or are wary of its security problems, Netscape produce a much more secure browser (it's also a lot faster). In addition, you can have both Netscape and Internet Explorer running on your computer without any problems. You can obtain the latest Netscape browser free from Netscape's web site. Eudora - If you're worried about security holes in Microsoft's Outlook email program and/or fed up with spam, a safe alternative is Eudora. This program provides most of the functionality of Outlook without the risk. And in the paid version it incorporates some anti-spam protection too. A full version of Eudora without anti-spam protection is available free from the company's web site. Symantec - Symantec make a wide range of software. But one of their most popular lines is their anti-virus program, which updates itself automatically every time you connect to the Net. It's not free but we can recommend it from personal experience. McAfee - McAfee also make great anti-virus software and once again, it's not free but we can certainly recommend it. Like Symantec's anti-virus software, it updates automatically. Handy Recovery - This data recovery software is designed to restore accidentally deleted files on hard and floppy drives. The program can recover files deleted by virus attacks, power failures and software faults. An easy-to-use Explorer-style disk content browser helps find lost files. And it's free! TweakNow Registry Cleaner - The Registry is a heart and soul of any Windows system. But if you've installed and uninstalled a lot number of applications the chances are that your registry will contain obsolete entries. This will significantly increase the registry size and slow down your computer. TweakNow allows you to clean up your Registry and greatly improve system performance. Windows Inspector - This utility will analyse and warn you about any third-party software installed on your computer. It shows you the processes running on your computer and highlights any suspicious ones. It has a database of malicious, system and common applications which it uses to filter out the process - and it's free. DirLot - This utility shows the relative size of all elements (both files and directories) in any directory on a disk, using columnar diagram. It allows you to quickly estimate how much space a file or subdirectory occupies and its visual display is much easier to read than Windows Explorer. Once again, it's free. Know a good link we should include here? Email us about it!